Let me know next time you're coming to town! Great pic! Makes Bristol look alot more epic than the bits I've seen. That's because of the height and angle from the bridge I guess. Makes the river look even browner than usual too. that river looks very dirty. May I display this image at my tumblr? My brother has just been through Bristol on tour and I would like to (ahem) say a few words on't. 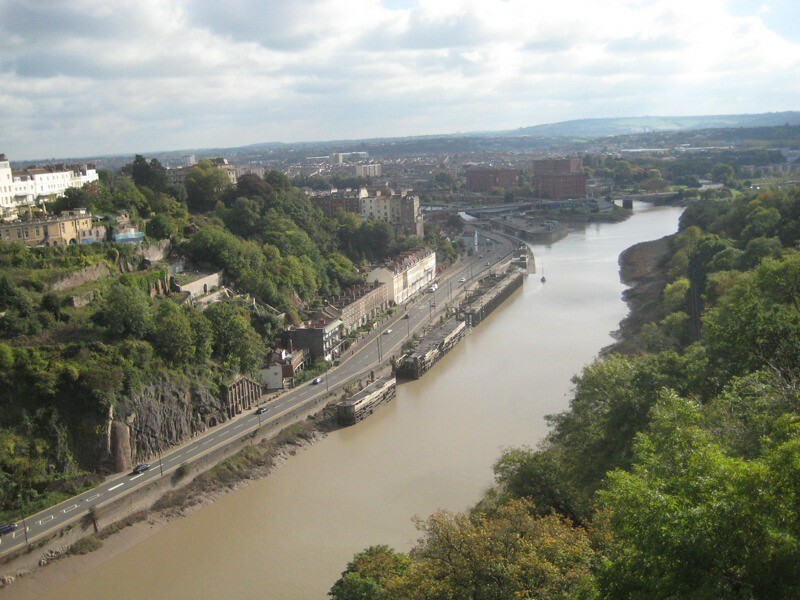 What a wonderful view of Bristol--- never seen it through your eyes before, stunning picture! Can't say I have ever been impressed before, through my own eyes that is. If you look in my Flickr, there are some more. Also some new London pictures from the weekend just gone.